The Greek god Menoetius was from the period before the rule of Zeus; the Golden Age of Greek mythology. The Golden Age was a time when the Titans, under the leadership of Cronus, ruled the cosmos. One of these Titan gods was Iapetus, Greek god of Mortality. 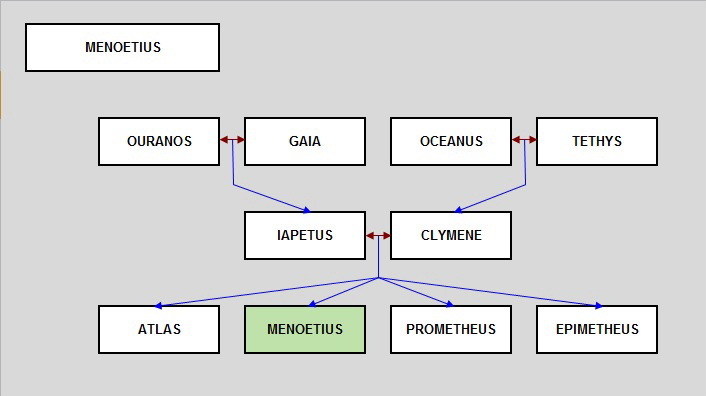 Iapetus would partner with the Oceanid Clymene (or sometimes the Oceanid Asia), and father four sons. ​These four sons were four second generation Titans, Prometheus, Epimetheus, Atlas and Menoetius. The name Menoetius is often taken to mean “doomed might”, but it equally can be translated as “ill-fated”; names which are apt considering the most famous story of Menoetius. The Golden Age would be threatened with the emergence of Zeus, for the son of Cronus wished to overthrow his father. A war loomed, and the gods, who were to fight divided into two forces; the side of the Olympians based upon Mount Olympus, and the side of the Titans based upon Mount Othrys. Iapetus was amongst the Titan force, and Atlas and Menoetius followed their father into the Titan ranks. Prometheus and Epimetheus though remained neutral in the war. 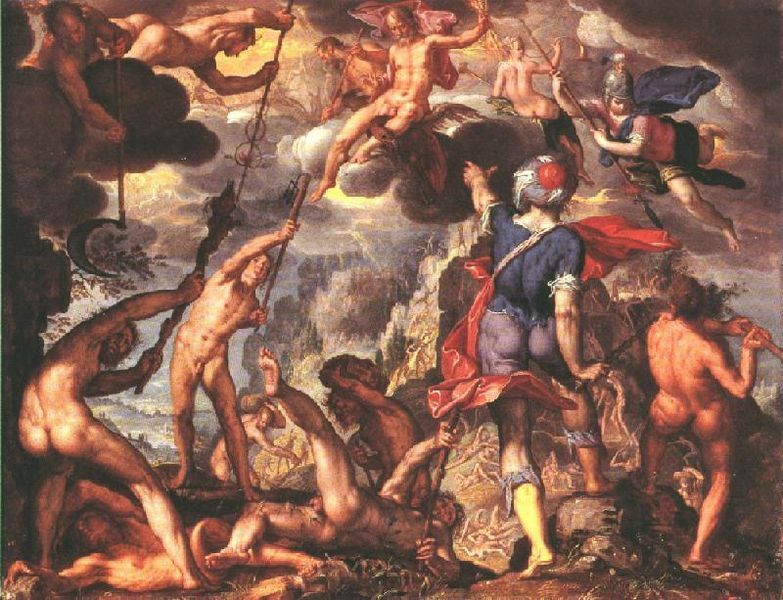 Details of the Titanomachy have not survived into the modern day, but it was said that Menoetius was struck by a lightning bolt thrown by Zeus, sending the son of Iapetus into Erebus (or Tartarus), and when the war came to an end, Zeus confined him to Tartarus for eternity. Another version of the story has Menoetius struck by the bolt of lightning not for his role in the fighting but for his hubris and insolence. The name of Menoetius is also associated with two other figures in Greek mythology; for a Menoetius was named amongst the ArgonautsArgonauts, being the son of Actor and the father of Patroclus. Another Menoetius was found in the Underworld and was encountered there by Heracles. This Menoeitus was named as a son of the Underworld spirit Ceuthonymus, and was a herdsman for Hades, guarding the god’s cattle. This Menoetius and Heracles would wrestle, with the hero breaking the ribs of the herdsman. A hypothesis has been put forward that Ceuthonymus was an alternate name for Iapetus, making the herdsman Menoetius the same as the Titan.